Coupon Code Description: Right now there is a MoreBeer Coupon for $6 on a Pumpkin Homebrewing Beer Kit. This is for both their extract and all grain beer brewing kits. Also, More Beer offers free shipping on any order of $59 or more! MoreBeer’s famous Thanksgiving Ale is based on an Amber Ale with modest bittering and the subtle flavor of pumpkin spice. Not overpowering in the spice, it is a great beer to share with both experienced and novice beer lovers. Coupon Code Description: Right now there is a MoreBeer.com promo code that will get you a Stainless Steel Wort Chiller for $44. There are few homebrewing materials out there more durable or more attractive than stainless steel, which is exactly what sets this Stainless Steel Wort Chiller from More Beer apart from similar chillers. 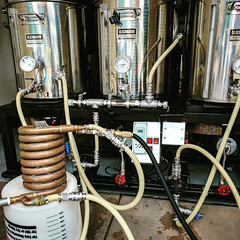 This high quality stainless home brewing wort chiller includes 8 feet of vinyl tubing attached to both the in and out using a female garden hose fitting on the in side, as well as 25 feet of stainless steel tubing measuring 3/8 inch diameter. Coupon Code Description: More Beer has a coupon code available that can get you a homebrewing equipment washing system for just $83.99. I own one of these and they are great for cleaning carboys and kegs to pristine condition. The Mark Keg Washer is designed to clean and sanitize large vessels like cornelius kegs and carboys. It is also intended to provide a sanitation container for miscellaneous items such as airlocks, thermometers, tubing, keg fittings, and more. The unit is very quiet when in use and most importantly speeds up the process of cleaning and sanitizing. It cleans and sanitizes a home brewing kegs without having to take apart the ball lock fittings, poppets, and dip tubes. It also cleans homebrew tubes separately utilizing the pump with the additional barb fittings included. Best of all, it saves water and homebrewing sanitizer saving you money. Coupon Code Description: More Beer currently has a promo code that will Save $7 on a Man Can Stainless Steel Growler! The ManCan is a shatter proof 64 oz, mini keg that will keep your beers fresh and carbonated. The Man Can is made from stainless steel and ManCan’s are made to the highest quality standards in the beer brewing industry. The unique threaded lid removes for easy filling and cleaning. ManCan also has tapping systems that will thread in for a true on the go beer serving experience. This MoreBeer promo code is for today only! Coupon Code Description: More Beer has a coupon code that will save you $4 on a 4 LBS container of PBW homebrew cleaner. PBW is the cleaner of choice for home brewers and right now MoreBeer has a deal of the day going on it. The MoreBeer.com deal of the day is always first come first server and there are limited quantities available, so if you are looking at taking advantage of this offer, you may want to act fast! Russian River Pliny the Elder is one of those beers that I would love to stock my refrigerator or my kegerator for that matter with. Unfortunately it is also one of the most difficult beers for a person to come by. 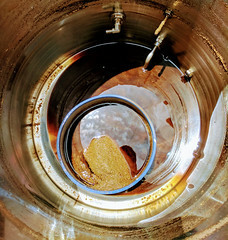 The good news is that home brewers can brew their own Pliny the Elder! One of the best things about this recipe is that it was given to MoreBeer from the owner of Russian River. For a very reasonable price MoreBeer is selling both the Pliny the Elder All Grain Beer Kit and the Extract Pliny the Elder Beer kit for a very reasonable price and it ships free! 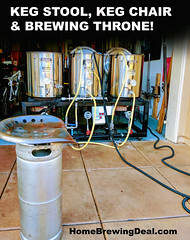 Sale Description: Adventures in Homebrewing currently has a promotion going where you can get a 5 gallon Homebrew Pumpkin Ale Beer Kit $15 + 5% Off Site Wide. This brown ale is balanced with cinnamon, nutmeg, clove, and a little something special sure to make this the hit of any Halloween or Thanksgiving celebration! Right now at Midwest Supplies, you can get $5.99 flat rate shipping on your homebrew equipment and supplies purchases. Some exclusions apply. There is no promo code or coupon code needed for this Midwest Supplies shipping offer. If you are looking for even greater savings, I recommend you check out some of the offers from MoreBeer.com and HomebrewSupply.com. 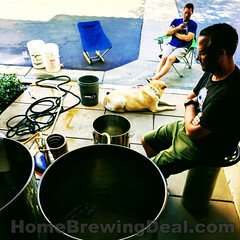 MoreBeer has some of the best prices out there on homebrewing equipment and supplies and offers free shipping!